Today’s episode is all about using Pinterest to market Teachers Pay Teachers products. We do have another episode about how to use promoted pins with TPT, but we didn’t have an episode that covers the basics of how to get it your TPT store and running and how to market it effectively. In today’s interview with Shelly Rees of Appletastic Learning, we review the basics, dive into strategies, then wrap up by answering some burning questions. Back in 2014, Shelly was teaching 5th-grade. It was her 23rd year of teaching and her family was in need of some extra money because her husband was out of work at the time. She decided to set up a Teachers Pay Teachers shop. Her shop really started taking off, and she soon found herself working until 2:30 in the morning some days to keep up. It was hard work, but it felt great to realize that she was making a difference in the lives of teachers and students all around the world. She left the classroom two years ago to focus on her business full-time. Shelly discovered the importance of Pinterest marketing early on. She didn’t do it perfectly from the start but she knew enough to utilize the platform successfully. Pinterest worked a bit differently compared to how it works now. We’re going to dive right into the foundational elements. First – set up and optimize your profile. Make sure that you include both your niche and your specialty in your profile. Your readers should know what they’re going to gain by following your boards and pins. Tell them what problems you will solve for them. Use the search bar on Pinterest to determine what teachers are searching for. Are there specific boards you should be creating? Shelly suggests creating two boards right out of the gate. Create a board for blog pins and another board for your TPT store. Beyond those two boards, create boards directly related to your niche. The best way to optimize a pin description for a TPT seller is to get really familiar with the search bar. Type into the search bar a term that teachers will use to find your particular product. Pinterest will generate some suggested terms. Make a list of those terms and use them in your easy-to-read pin description. Also, be sure to experiment with using hashtags in your pin description. How do you create the best TPT seller image? Current best practice is to use images with a 2:3 size ratio. This size looks perfect on mobile. Avoid images that are too busy. It’s a mistake that a lot of people make. Use one strong image in conjunction with an easy-to-read title. The combination that works best for Shelly is one large image of her finished product and the title of the product place at the top of the pin in bold letters. What about branding and logos? Shelly doesn’t put her logo on most of her pins. Having the logo on the pin is best practice for some people, but Shelly just likes to make sure she has her name somewhere on her images. If you have editable resources, make sure you highlight that aspect on your images. People love these! Once you have everything set up and have covered all the basics, now what? Shelly didn’t have a blog at the beginning. When she first started the blog, she didn’t know how to utilize it well. If you don’t have a blog, don’t stress over it. But definitely consider adding one at some point in the future. Send your traffic to both your store and your blog if you have both. TPT’s number one source of traffic is Pinterest. There is value in pinning directly to your store. Adopt the mentality that a product is not complete until you’ve created a pin for it. Once you’ve created your product and uploaded it to your store, pin your image to your store board and make sure you link it to your product. How often should you share your pins? It depends on the time of year and how relevant the pin is. Share the pins from your store board to other boards that are relevant. Shelly doesn’t believe that there’s an exact science behind it. It all just depends on how the audience is interacting with your content. Give it 24 hours in between your pins so that you can see what the response to your pin is. When Shelly first started her blog, she viewed each post as a sales pitch. Now she views blog posts more as a way to help and inspire. She gives teachers strategies to help them, then links her products at the bottom of her posts for extra help. The help she offers in her posts gives her the credibility that she needs for other teachers to want to buy from her. What are the best metrics to track and determine success? Shelly is a very reflective person but she doesn’t delve as deep into data as some of her friends do. Teachers can’t purchase on mobile but they can add it to a wish list. This limitation skews the metrics and data somewhat. Her advice is to monitor your wish list numbers. How do you evaluate your time and financial investment without good metrics? Shelly has a specific budget that she sets up monthly so that her money investment is laid out. She has a daily limit on how much she spends on pins. 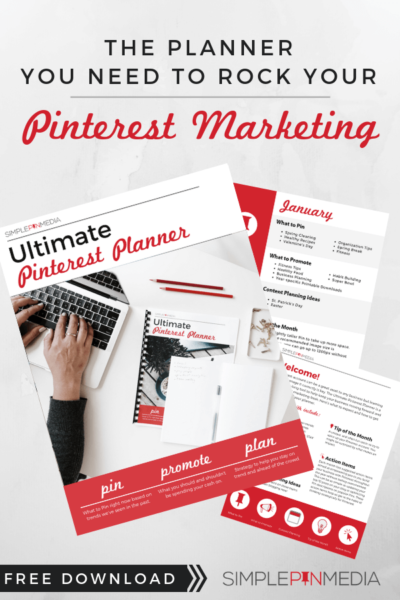 As far as her time investment, she knows that because her number one driver of traffic is Pinterest, it is worth the time she is spending on creating pins and scheduling those pins. For a more specific KPI, you can use UTM codes created on TPT to help you track the success of specific pins. Tailwind is a scheduling tool that you can use so that you’re not having to pin multiple times a week. Tailwind tribes are collaborative boards that you can pin to and from that help you share your content with other people. Shelly tries very hard to keep 20% of her pins not product-related, so tribes are a source of finding those pins that she can share. It also helps her support her friends! Her pins get shared more by being pinned in tribes as well. You cannot collect email addresses through TPT, but you can collect them through your blog. Shelly uses a free resource to get people on her email list. Shelly pins 30 pins a day and she schedules them two weeks at a time. She schedules them for early morning and late evening (the times when teachers are most likely to be on Pinterest). Don’t let your fear of doing things incorrectly stop you. Gather the courage to just get started. There is room for everyone to grow. You’re going to make mistakes along the way and that’s okay. Shelly is running a free TpT Seller Bingo Challenge, which begins on October 1st and runs for the entire month. Complete all the tasks on the bingo board and you’ll be eligible for a prize drawing. If you’re a TpT seller, go join the challenge. Also, be sure to join my Facebook group, and check out the thread on TPT. I've searched and searched for confirmation of this information and finally here it is. That and so much more! Thank you! Sometimes all you need are the basics. YES! Basics are the key to Pinterest marketing. Sometimes we make it so hard.